After you had your fill of the buffet, take a stroll along the Midway. You will see smiling faces on kids of all ages. The games are carefully chosen for FUN and safety -- thrilling fun with no games depicting extreme violence. 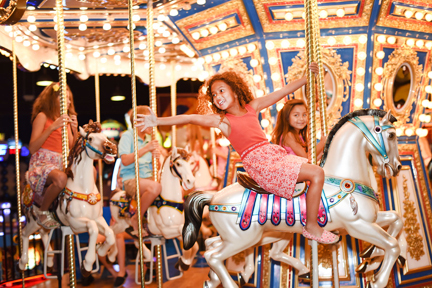 Take a ride on our indoor carousel, Frog Hopper drop ride or bumper cars and then test your skill at our fantastic arcade with everything imaginable. 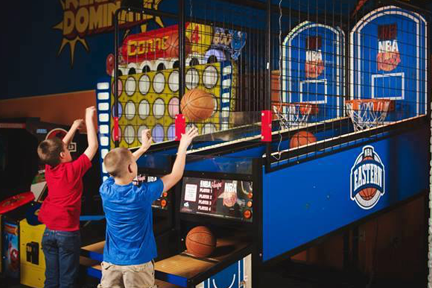 GattiTown's arcade has over 150 high-tech games including basketball, skeeball, car racing and air hockey. Many of the games offer chances to win prizes too! Show off your skills, win instant prizes and earn e-tickets! 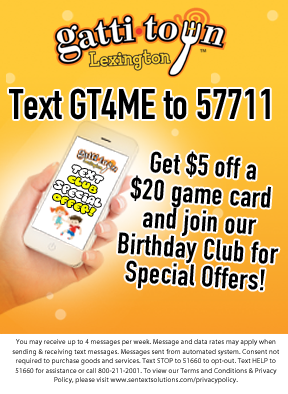 E-tickets load directly onto your game card to redeem for Gattis Goods merchandise. 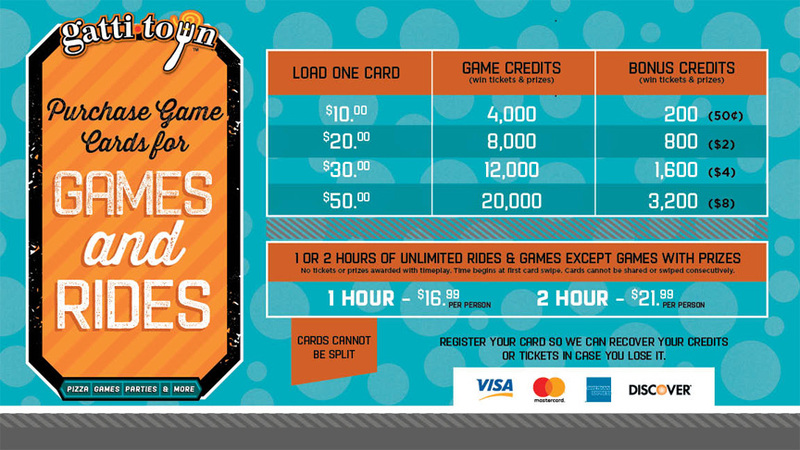 Cards with e-tickets can be saved to redeem for even larger prizes later! 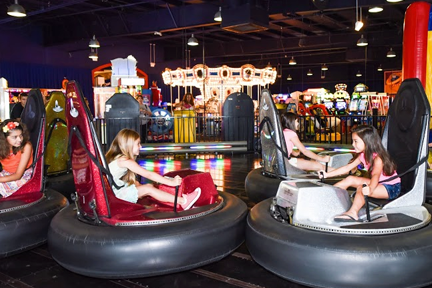 Have a bumping good time on the only bumper cars in Lexington! Height requriement 42" - single riders only. 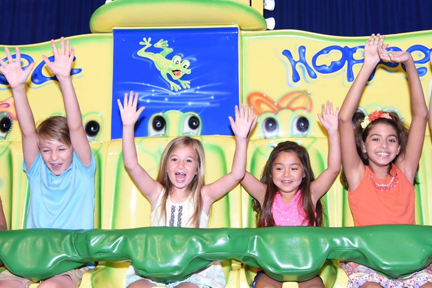 Experience the up- and- down thrills of our mini drop ride! Height requirement 36" - designed for ages 3-13. Make memories togehter on our full-size indoor carsousel! 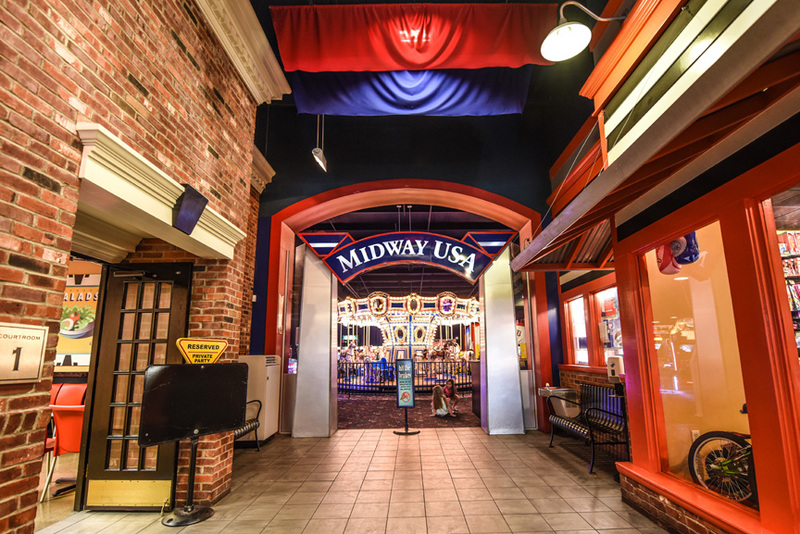 Use your GattiTown Midway Card as you have fun and score points at Midway USA! 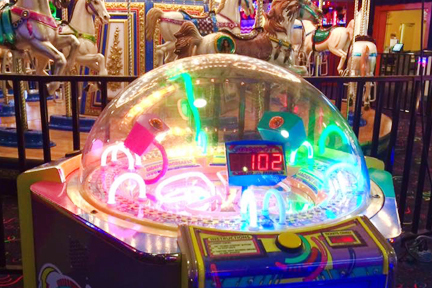 Load up credits to play all the exciting games GattiTown has to offer. As you play games, you acquire tickets for Gatti Goods merchandise. It's quick, simple and rechargeable, so you can use it every time you visit. Below are examples of how many game credits you get per purchase. You are not limited to these amounts. You may put any amount you want on a card. 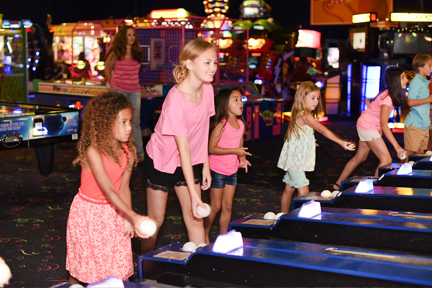 After you've enjoyed Midway USA, redeem your winning tickets for fantastic prices at the Gatti Goods store. Brimming with gifts and gadgets galore, there is something for everyone. You may choose to spend your points or save them for even bigger prizes later. Midway closes one hour after buffet closes.